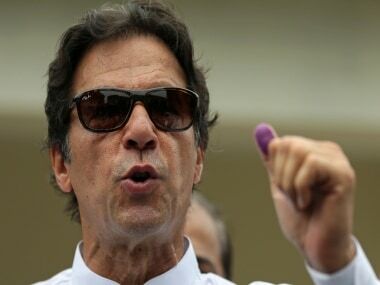 As the Pakistan election results come in at a snail’s pace, it is more than obvious that Imran Khan is set to be the next prime minister. At last count, he had won an (unofficial) 119 seats to 64 by the PML-N. With a total of 272 electable seats, a simple majority has not yet been achieved, and the Pakistan Tehreek-e-Insaaf will have to consider who they will take on as partners, which in turn will affect future policies. But Pakistan has always had a top-down system of governance, and in such a case, the character of the future leader becomes important. As a person, Imran’s biggest advantage has been that he is actually a philanthropist, and was one long before he entered politics. According to estimates, he is probably worth about a net $50 million, with local sources putting it even lower. That’s small change compared to the Sharif family’s fortunes which seem to include properties across the globe. To a populace fed with daily reports of the unseemly wealth of the Sharifs (and the Bhuttos), this comes as a welcome respite. To most, this is the ‘naya’ in Pakistan. Second, despite being 65 years old, he still carries with him the flavour of being “Kaptaan” who led Pakistan to victory in the World Cup. But that was 1992, and since then, a lot of water has flown under the bridge. 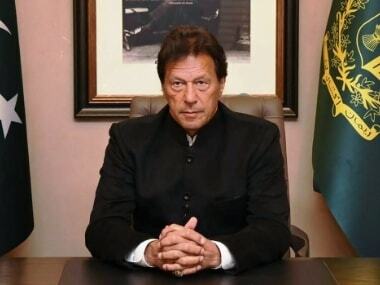 In terms of personality, Khan has transformed from the swinging husband of Jemima Khan to one who now has his prayer beads at hand and is married to his spiritual mentor. Khan is no supporter of the liberal cause. Fatima Bhutto accused him of being a confirmed misogynist, having voted against the Women’s Protection Bill that would have mitigated their lot under the infamous Hudood Ordinances. But Pakistanis like their leaders to be conservative, even in Rolex watches. Khan also has a reputation as a dictatorial leader. Remember that original stalwarts of the PTI left the party not because they disliked its policies, but because they couldn’t get on with its leader. When it comes to governance style, the PTI has — perhaps realistically — followed the footsteps of major parties. Consider the performance of the PTI in the first 100 days of its very first government in Khyber Pakhtunkhwa. A report from PILDAT (Pakistan Institute of Legislative Development and Transparency) indicates that despite its calls for ‘austerity’ in government, the corridors of power were stuffed with minsters, special advisors, and special assistants, putting to shame the records of even the previous government in the state. Transparency went out of the window, as well as the earlier emphasis on internal democracy, despite a fail-safe and effective system of voting created by veteran bureaucrat Tasneem Noorani. By 2016, the PTI had slipped to 5th place in a total of 7 parties, with the Jamaat-e-Islami and the MQM far ahead in internal democracy. The remaining two were the two mainstream PPP and PML(N). In other words, PTI was following the same path trod by earlier parties in running the state. In this sense, not so “Naya Pakistan” after all. But here’s the thing. Unlike the others, the PTI did make a considerable attempt to provide governance to a province marked by a complete lack of such efforts. In 2015, the KP Assembly got the highest rankings in terms of performance. In 2016 and 2017, the government got the first and second ranking in governance assessments, with KP taking the lead in terms of social indicators and administrative efficiency. More importantly, a 2016 poll on governance indicated that more than 59 percent of those polled in the province were happy with the performance of the state government and that KP was seen to have improved in 18 of 25 indicators, with surprisingly, Punjab following in second spot in terms of internal approval. The opposite was, however, apparent in terms of the PTI leader in the National Assembly. His record of attendance was even lesser than Nawaz Sharif, and that’s saying something. Data compiled by FAFEN (Free and Fair Election Network) shows that during his five-year term as Member of the National Assembly, Khan attended proceedings of the House for only 23 days out of its total sittings of around 533 in total 56 sessions. The prime minister totaled 63. Besides, Khan’s contempt for the Parliament nearly got him into trouble on several occasions. Clearly the future prime minister is as always, impatient of authority at all times. Not all authority however. Imran Khan’s respect for the military has never been under question. In a ‘normal’ country, this should be a cause for approbation. Not in Pakistan, where there is already a suspicion that the PTI has time and again received support (and more) from the establishment. Khan has undoubtedly been a votary of keeping defence expenditure high even when it was amply clear that the country could not afford it. It has also supported the army in less public ways. For example, PTI quietly stayed out of a public outcry against the DG ISPR virtually disregarding the prime minister’s office’s directive during the “Dawn Leaks” episode. There is a strong suspicion that his series of agitations received support from the establishment. Given all this, the national security architecture envisaged by the party is unusual to say the least. Its manifesto talks of a National Security Organisation (NSO), which, while being chaired by the prime minister, will have the Minister of Interior as the deputy chairman, presiding over every one else including the National Security Advisor (NSA) who has usually been a high ranking retired military officer. The secretariat to the NSO is to be the NACTA (National Counter Terrorism Agency) which had been virtually put to grass by the intelligence agencies. The NSA gets his own ‘working group’ but at a much lower level of representation. If this isn’t putting the military in its place, nothing else is. Imran Khan may yet surprise. Khan’s biggest negative as presented by the media –particularly in India — is his open support of the Taliban (of all kinds). True, he was dead set against military operations from the first, and has been sympathetic to various right-wing groups. He has also been equally outspoken against US drone strikes. In reality, his sympathy for right-wing groups is the least of the issues that should be considered. A leader who owes his political future to a province that is being bombed, will naturally oppose it in public. In addition, it is as well to remember that Shehbaz Sharif, erstwhile chief minister of Punjab, has been more than passive towards the Lashkar-e-Taiba. It is the PML(N) which has given the highly sectarian ASWJ (Ahle Sunnat Wal Jammat) a free political run again. The religious right is the highest common factor in politicking of nearly all parties. 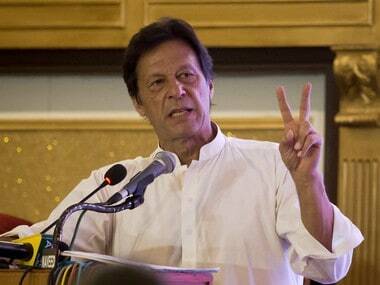 For India, the election of Imran Khan is a ‘wait and watch’ issue. General elections are the business of the Pakistanis themselves. Besides the whole exercise has been fought entirely on internal issues, barring China and the CPEC. 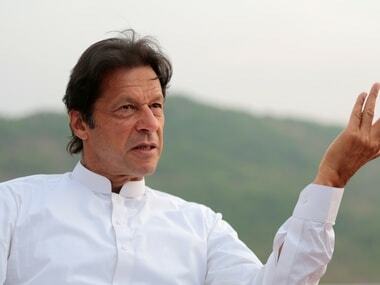 In his victory speech, Imran mentioned his desire to emulate China in several spheres – including tackling corruption and poverty alleviation. Clearly he is in awe of Beijing. That’s not a great start. It is his reference to India that will naturally get the most attention, and was true in part. He ruefully observed that Indian media seemed to present him as a Bollywood villain, which it has. However, pay careful attention to his words on Kashmir. His statement that human rights violations will inevitably result when any army takes on the people of their own country is one that cuts both ways. He wants more trade, and more contacts. Will he fly down to New Delhi, as his predecessor did, for any reason? Probably not. His own personality will not allow him to take such a step. Neither will the establishment. But there is room for engagement. Imran Khan is no run-of-the-mill politician. When he’s convinced of a path of action, he will keep going, until he gets it.